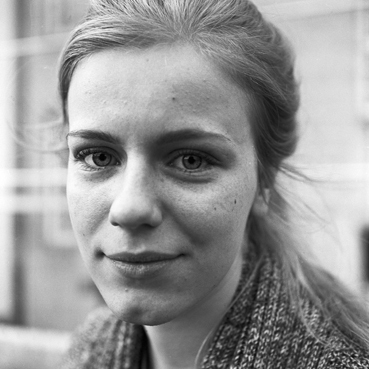 »I live with my parents and this year I just started university, so I was not so much affected by the crisis. Before the economic collapse, life was just mad. Icelanders went out of the country just for shopping. I think people understand by now, that money doesn't make you happy, even if this is a kind of cliché: We don't need five TV's at home. And we are not as greedy as we were before. But we grow up with the belief that we need more and more stuff, because this is good for the economic system. This is also what the government pretends: to have an economic growth. I don't have confidence in our government, it's just ridiculous. There are a lot of cut backs for example in education and this is terrible. I think our mayor Jón Gnarr is wonderful, he emphasises human rights and this is so important right now.